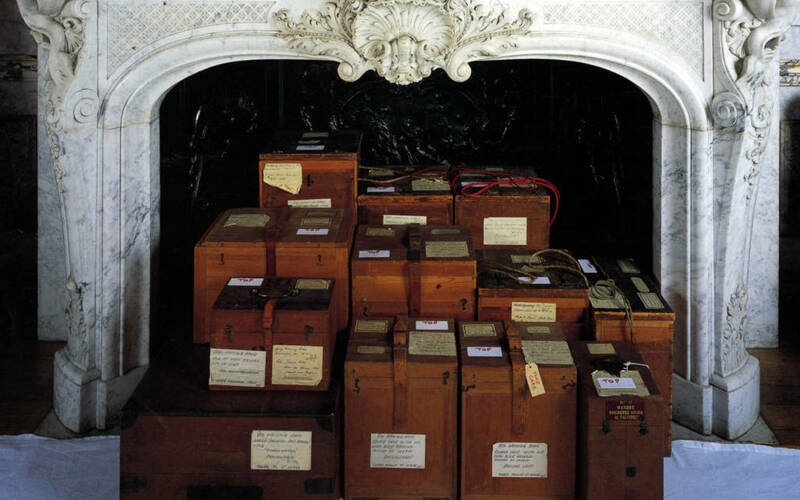 This year the annual National Trust/Waddesdon Manor conference explores boxes made for storing, packing, and transporting works of art. Ranging from the 17th century to modern times, the subject matter will encompass the gilded etuis that protected the Treasure of the Grand Dauphin, travelling toilette services, boxes for silver, clock cases, Edmond de Rothschild’s storage boxes for porcelain and sculpture, Louis Vuitton and luggage for house parties. Speakers will explore what these boxes and containers tell us about the care, storage, and mobility of works of art (in times of peace and war) and about the categorization and use of things. Many of these boxes add fascinating aesthetic dimensions to the experience of the objects that they were designed to contain. The conference will begin with registration and coffee at 10:00 and end with a glass of wine at 5.30–6.00. Coffee, lunch, and tea will be provided, and there will be an opportunity to look round Waddesdon Manor and the current exhibitions. To book a place, please email [email protected]. There is a charge of £25, which covers all catering costs (please indicate any specific dietary requirements).